XBox One provides features to stream media from your PC and to enjoy the media on common entertainment box i.e. XBox. 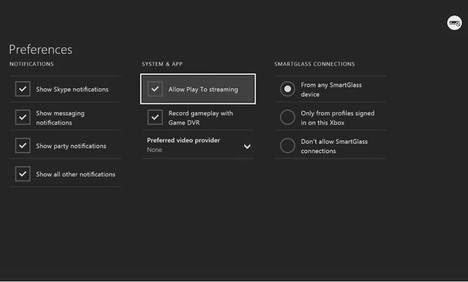 Below are simple instructions to setup the streaming of media contents from PC to XBox one, along with solution for one commonly faced problem. Hope it will help. Note: Instructions are given considering window 7 PC. Make sure that Xbox One is connected to your home network, either via wired or wireless connection. Download the ‘Media Player’ app from Xbox Store. This will help you to explore the media on PC remotely. Go to into the “Preferences” option through the user settings menu. Make sure that the “PlayTo” streaming option is checked. Switch over to your PC. Go to Start menu and click on “Devices and Printers”. Use ‘Add a device’ and add Xbox one as one Device. Go to ‘Stream’ menu and enable the ‘Allow Remote Control of my Player’ and ‘Automatically Allow Devices to play my Media’ options. Now in your window explorer, go to any multimedia item. Right click on it. You will see option as ‘Play to > XboxOne’. Select it and selected item will be played on Xbox one. Alternatively, you can add the media items to your Window Media Player library and play these to Xbox one from there. Look for ‘Window Media Player Network Sharing Service’. Stop this service. Look for ‘UPnP Device Host’ service. Stop this service. Start it again. Now start ‘Window Media Player Network Sharing Service’. Try streaming the contents to Xbox one now. It should work now. Run Media player on Xbox one. Explore the media on PC remotely and enjoy the media streaming to Xbox one.